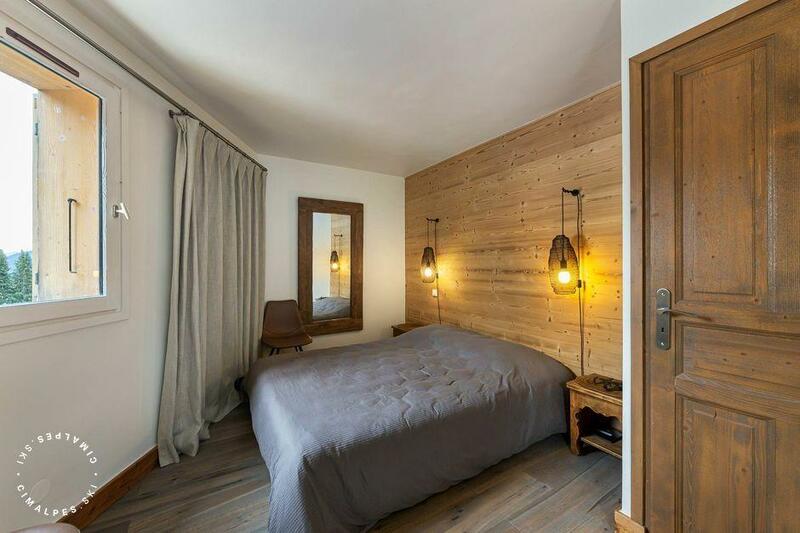 The Cristal 55 apartment is a charming 100 sqm T4 located in the center of Courchevel 1850, a few steps away from the ski school and many restaurants and shops. Spacious and contemporary, it is tastefully decorated. 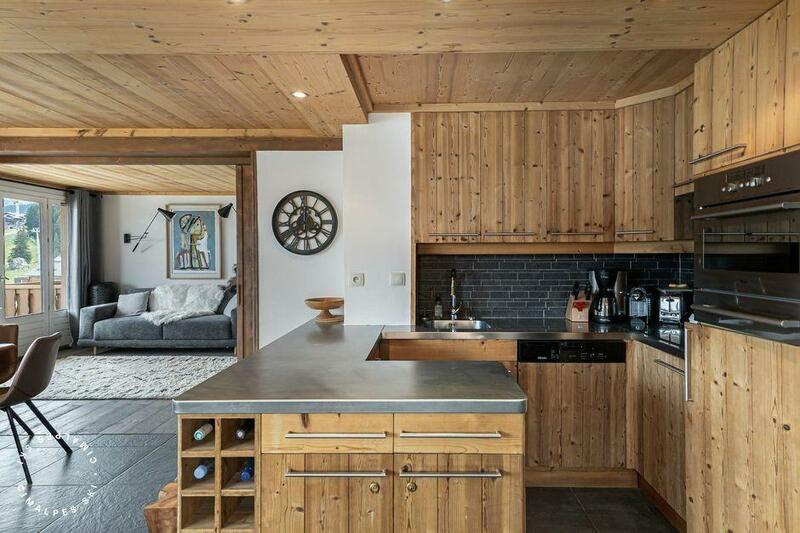 After a day of skiing in the largest ski area in the world, the 3 Valleys you will enjoy meeting with family or friends near the fireplace to warm you up. Bright, traditional and warm, you will enjoy all the comfort it offers. 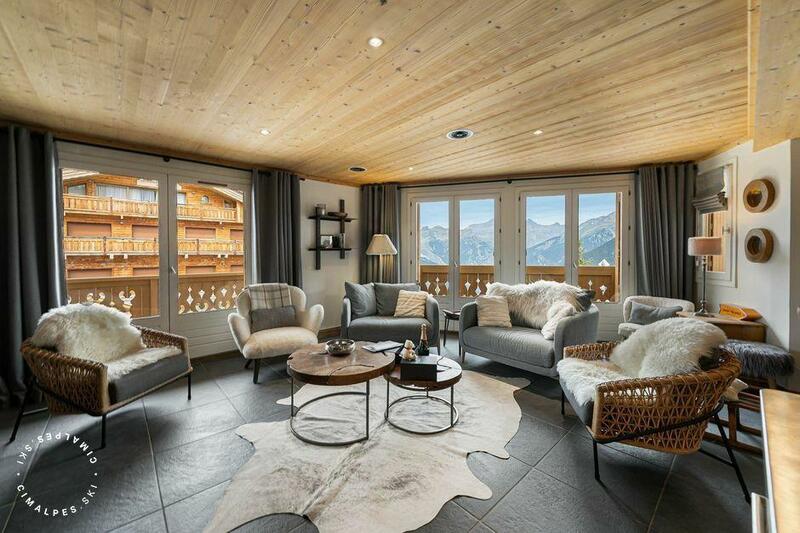 Living area : North facing balcony offering a magnificent view over the mountains. 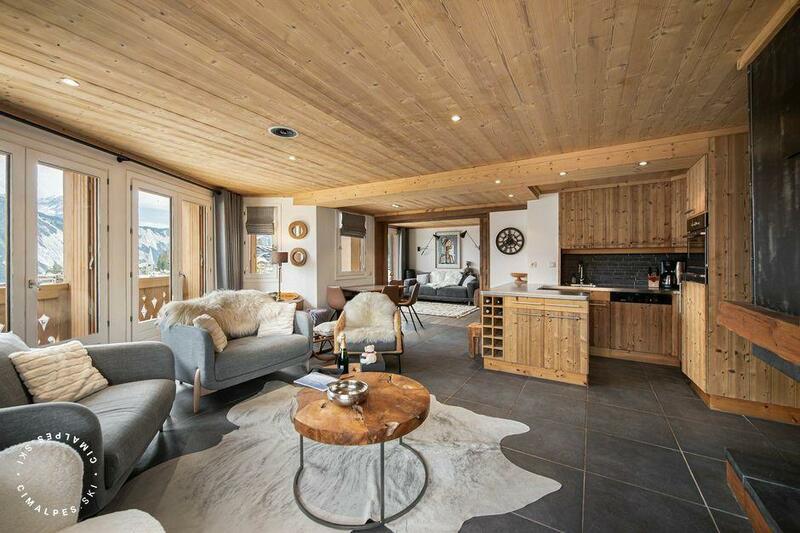 Luxury apartment located in the center of Courchevel 1850, ski in ski out, with track behind residence and ski lifts nearby.